How are conflict and resolution crafted? Space, subterfuge, and socioeconomic struggles. These ideas are individually intriguing (I am getting all of my alliteration out of the way early! ), but what if all three were contained in a single package? What if, perhaps, they were neatly delivered as a single anime? 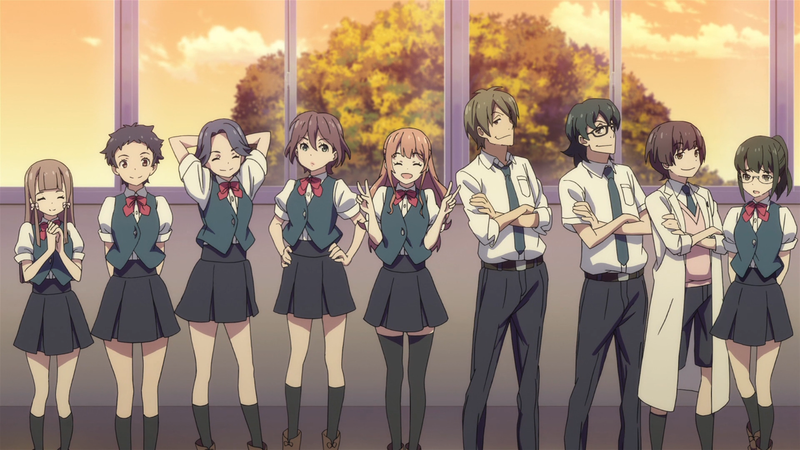 Classroom Crisis is such a package, one that was somehow forgotten on the doorstep of many a member of the anime community during the Summer 2015 season. The show has a slower start, but, considering the political ties of the plot, this is a dark horse of the mightiest proportions. 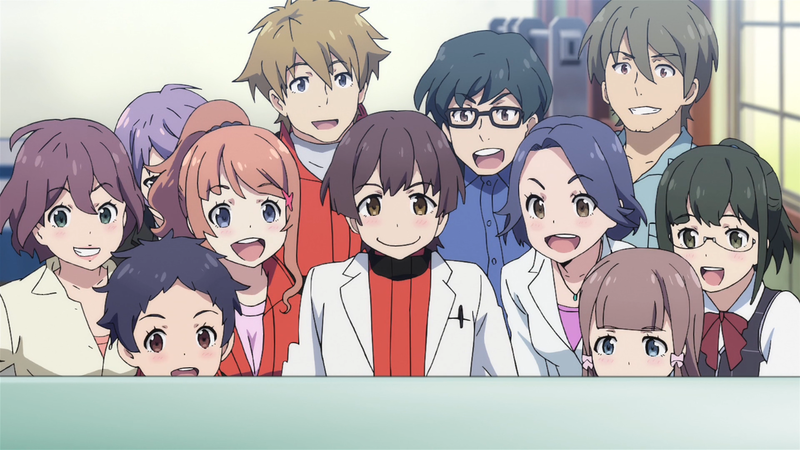 Classroom Crisis most certainly deserves credit for blending together its separate subjects. After all, nothingness, trickery, and money are inherently cool themes, especially when taken together. 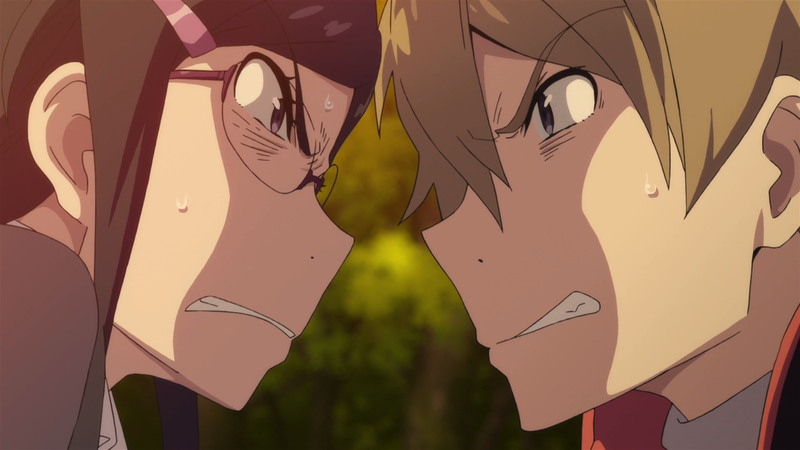 However, what the anime does best is something many people take for granted: conflict and resolution. The following essay will investigate these concepts of conflict and resolution. What conflict and resolution are, what forms conflict and resolution take, and even what conflict and resolution demand of the narrative. Hopefully by the end of this piece, you, the reader, will not only have a better appreciation for the art of conflict and resolution but also have a better appreciation for Classroom Crisis overall. Conflict is seen everyday. A conflict might involve two warring countries or a conflict might mean hacking into a server. But whether the conflict is large or small, a commonality exists: two or more parties are not on the same page. This is a simple point, but an important one. Conflict involves one thing squaring off against at least one other thing. A person standing idly on the sidewalk does not count as a conflict. But if that character was preventing other characters from acting, then a conflict exists. These types of conflicts are often described as external conflicts. They happen outside of ourselves, in local surroundings or in a vicinity visible to the naked eye. The opposite are described as internal conflicts. Deciding whether to cook some pasta or to order a pizza is an example of an internal conflict (what to eat) that people have on a daily basis. But there is a catch: who is involved in the conflict? As we have already learned, two or more parties are needed, but neither the pasta nor the pizza is causing the distress. In this instance, the conflict is between you and you. What this means is that conflict does not necessarily have to involve concrete entities. An ideology, the smell of the nearby garbage, or even the falling of stock prices causes conflict without there actually being a solid enemy to confront. Arguably the most important, Man versus Self is the first and is akin to the earlier discussion on internal struggles. These are internal battles that the characters wage within themselves. The conflict might be simple, like deciding what to eat, but most of the time the conflict involves deeper, personal issues. Emotional states are common routes to take in this category: depression, anxiety, and low self-esteem, as well as many other negative feelings. Emotions are not the only options, though. A character whose troubling past is still influential or a character that is dealing with an addiction are fights a character mostly fights alone. The main protagonist is quarreling with his convictions and, in the end, reaches a point that is either above or below where he started. No matter the conclusion, the main point of contention is between the character and himself or herself. Man versus Society is slightly more tangible. Rather than squaring off against inner demons, this category is all about the protagonist taking on the rules in place. It is not any one person who is causing trouble, it is how things are being done. “Society” is admittedly vague, but think of it as a battle that challenges the current norm. The conflict might be a clash between an individual and a particular culture. Perhaps a new neighborhood curfew is rebelled against. Or contextually, maybe political machinations cause more problems than they solve. Regardless, this type of conflict is all about the protagonist fighting against the system. This type of conflict is the easiest to understand and to see since there is a physical enemy the protagonist confronts. Son against father, two hockey players with a staunch rivalry, or a teacher and his troublesome student are all instances of this classic conflict. This conflict, similar to Man versus Self, is one that almost every single story includes. Now, this is not to say that conflict is confined to such stringent rules. These definitions are merely a way of looking at conflict, of understanding conflict. How the conflict is made is obviously important, but what is most important is what the conflict is and what the conflict actually does. So, what does conflict actually do for a narrative? One of the biggest and most important roles that conflict maintains is driving the plot. Conflict induces problems, giving rise to action, tension, and progression. Indeed, a story about a dude sitting in his chair while he peers over some annual reports is not the most riveting of tales. But if that person was actually using the reports to exact revenge against the president that wronged him? Now that is a story. This also reveals an inherent quality of conflicts: conflicts are captivating. Conflict is interesting. While there are exceptions, most people do no want to watch John Smith lead a normal life. People want to see despair. They want to see action. And above all else, they want to see conflict. And when conflict occurs and the plot starts to move, the characters are forced to move, too. Conflict challenges a character’s convictions and brings out their strengths and/or weaknesses. They react to the conflict — in a positive or negative manner — giving them the opportunity to undergo that ever-so-important development. Without conflict, characters often stagnate, unable to transform their person because they have no issues affecting them or their surroundings. Therefore conflict is necessary not just for the plot and the audience but also for the characters as well. Conflict is integral to the proceeding of any story, and Classroom Crisis is no different. In fact, it is fair to say that Classroom Crisis has an extremely strong grasp on conflict. Classroom Crisis has such a strong grasp because it executes not just one type of conflict but all of these types of conflict and then some. The next section will investigate various conflicts taken from the anime for each of the three main types of conflict — Man versus Self, Man versus Society, and Man versus Man — to see how Classroom Crisis sets them up as well how they take advantage of these conflicts. 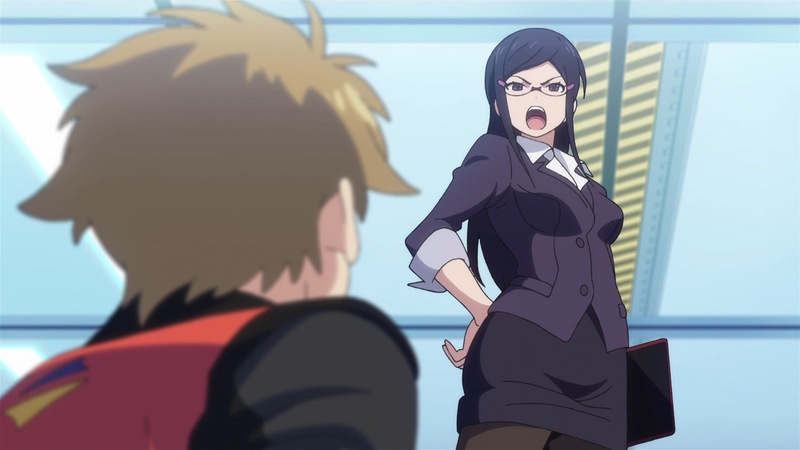 Man (technically woman) battles himself (herself) in Classroom Crisis, albeit not immediately. Iris, later on in the season, develops a fear of driving their club’s spaceship. This fear stems from her past, where, as a child, she went through a traumatic event. The recurring event is her lost at space. Her guardian is bleeding out, but it is an imminent collision with an asteroid that triggers overwhelming anxiety and loss of control. That is to say, Iris’s conflict is a classic case of Man versus Self. Iris becomes overwhelmed by outer space, creating an inner conflict. This contrast is incredibly interesting because of the scale. Nothing is as expansive as outer space, but her conflict occurs within herself, a speck among the cosmos. But Iris’s conflict is not a small one. Her conflict is even bigger than outer space. At least, it is to her. This conflict is impressive because of who Iris is. Iris has no emotions. She has no personality. She has no loud traits to speak of. Except for one: she is an ace pilot. She is the only person suitable for the role of driving the spaceship. So it is almost poetic that her major conflict be one that directly disrupts her place in the narrative. Her conflict makes her feel afraid, alone, and anxious. She has no idea how to cope with her dilemma; having one’s origins taken away would leave anyone empty. Her conflict is not immediately known to everyone. For a time, she conceals her issue — even to Mizuki, who, for all intents and purposes, is her sister — masking it as nothing more than a cold. But as her conflict goes unaddressed, tension builds and builds until the tipping point. The climax of her conflict coincides with the big twist of the series, causing even more conflict for her on a personal level. Meaning, Iris’s conflict not only influences her character but also influences the plot in a major way. Iris’s conflict is influential for more than just herself and the plot, though. Her conflict also influences other characters, too. 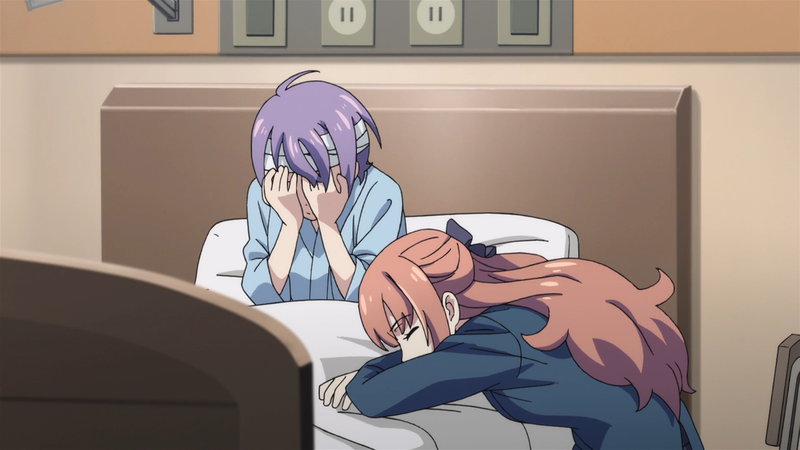 Her private problem involves Nagisa, worries Mizuki, and, surprisingly, affects Hanako. Altogether, Iris’s conflict is a conflict that, like outer space, surrounds everything and everyone around her. Her all-encompassing conflict provides the second half of Classroom Crisis with both an involved and engaging plot and a hefty amount of character development for Iris herself. In Classroom Crisis, the central conflict does not deal directly with any of the characters. The central conflict is actually between two entities: A-TEC, the club that Mizuki, Iris, and Kaito are a part of, and Kirishina Corporation, the business vying to dissolve A-TEC. From the very beginning of the anime, this conflict is present. 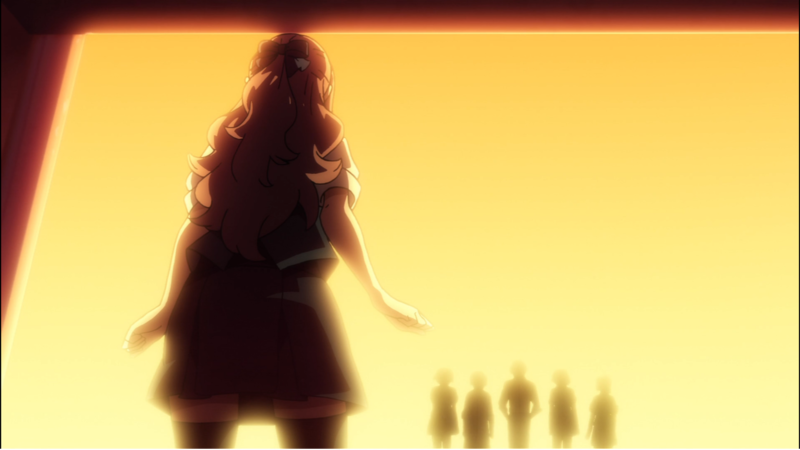 Nagisa’s arrival signals the start of the conflict, and from there, everything begins to go downhill. Angelina, an enforcer for Nagisa, cuts down on facilities. The petition the group tries to get signed is not seeing the support they need. And to top it all off, half of the team leaves for a time. The conflict is almost overwhelming at first because nothing is going right. At every turn, A-TEC is met with opposition, leaving the atmosphere of the show mired in melancholy. The audience feels the hopelessness of the situation, almost to the point that the constant negativity becomes unbearable. And this is just within the first three episodes. The conflict also introduces other problems. Kaito failing to buddy up with the local workers’ union reduces morale. The budget cuts all over the place make it nearly impossible for A-TEC to do anything. And the political dealings behind the scenes — such as with Nagisa and his brothers (“factional infighting,” as Kaito puts it in episode six) and the ongoing elections — influence the club without them actually having anything to do with those quarrels. So the conflict is not caused by the self or by a specific person. The conflict is caused by the rules and the system in place — Man versus Soceity. 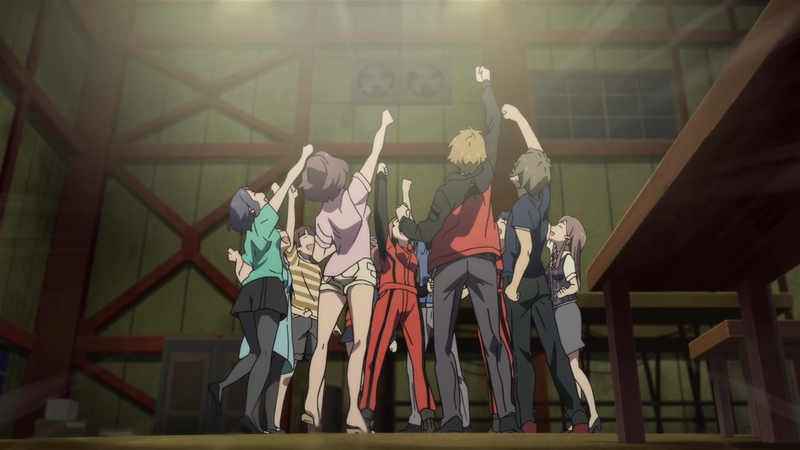 A-TEC struggles to conform to their new limitations throughout the entire season, attempting to come up with creative ways to fight back against a society that seemingly does not want them. Initially, the conflict is seen by everyone as simply doing away with cutting costs. A-TEC is known for its huge, debt-causing expenditures, so much of the anime spends (pun intended) its time on showcasing the club as being more than just money wasters. However, as Classroom Crisis proceeds, the true purpose for going after A-TEC is revealed. The revelation is that A-TEC itself never mattered. Instead, what Kirishina Corporation was truly after was Kaito himself, using Kaito to manufacture weapons built for war. And the only way to get to him was through the destruction of A-TEC. Having the conflict be so pervasive and so multi-layered gives the conflict a lot of strength. The persistence demonstrates focus since the anime never loses sight of where it is and where it wants to go. As for the morphing, this keeps the tension fresh; instead of stagnating due to repetition, the change in purpose stops the conflict from feeling overdone. And of course, this primary conflict affects the characters, too. Kaito, due to all of the problems, often seeks advice from Sasayama, Nagisa’s actions align with the politics, and the other members of A-TEC adjust as best as they can. Given that this conflict is the main conflict for the anime, it comes as no surprise that it does a lot throughout the season. There are a lot of characters in Classroom Crisis. Having a lot of characters also means having a lot of character interactions. These interactions are not always jovial, though. Nowhere is this more apparent than with Nagisa. For Nagisa, he constantly fights against everyone, including Mizuki, one of the only people trying to understand him. However, his biggest adversaries are the least-likely candidates: his family. More specifically, his two older brothers, Yuji and Kazuhisa, repeatedly attempt to foil his plans through their own devices. Yuji often takes a direct approach, using threats, intimidation, and guilt to make Nagisa do what he wants. And what the audience comes to learn is that Yuji also physically abused Nagisa, forming the catalyst for Nagisa’s hatred towards his older brother and increasing Nagisa’s need for revenge. 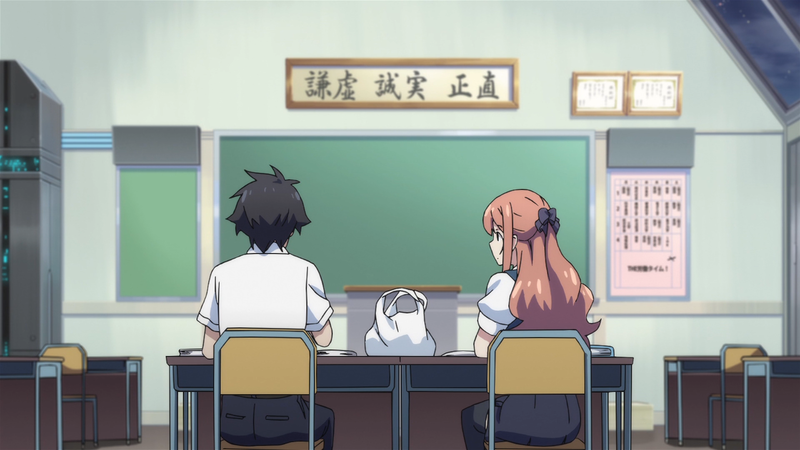 Throughout Classroom Crisis, Nagisa and Yuji regularly quarrel with each other. Nagisa takes a calm, arrogant stance whereas Yuji shouts and gets riled up. Combined with their history together, their conflict is constantly heated. 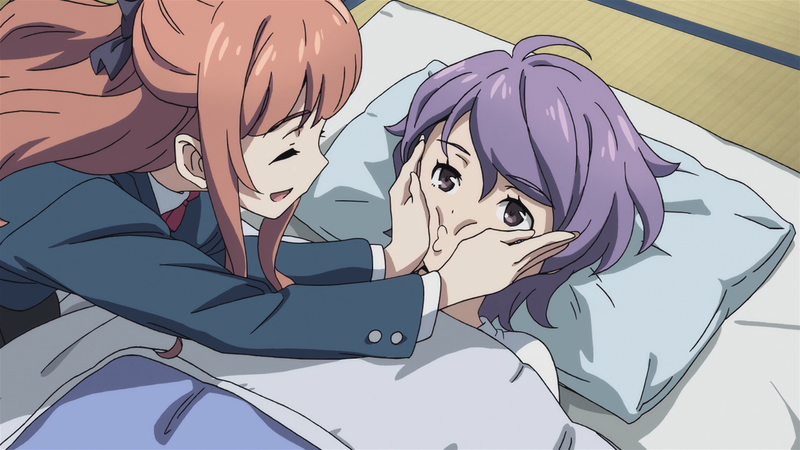 As the story progresses, Yuji continually fails in his plans mostly due to Nagisa’s own actions. 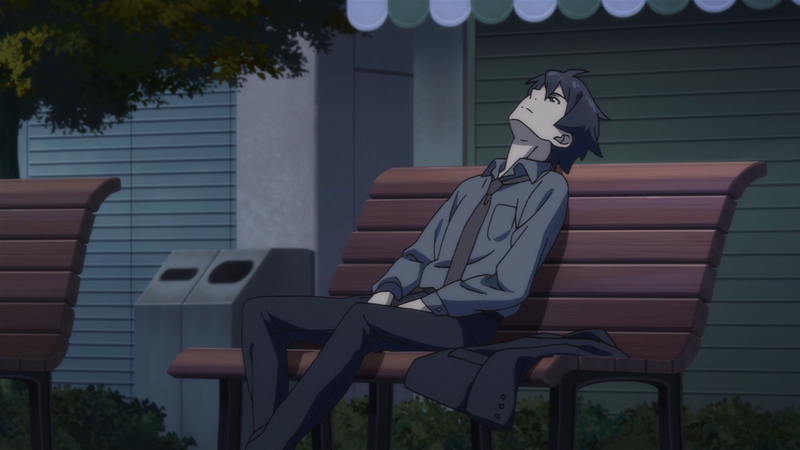 Yuji fails so much that he is “fired” from his position. In response, Yuji essentially goes insane, stabbing, kidnapping, and torturing Nagisa to get revenge against the person who he deems wronged him. Kazuhisa, in contrast to Yuji, often takes an indirect approach. 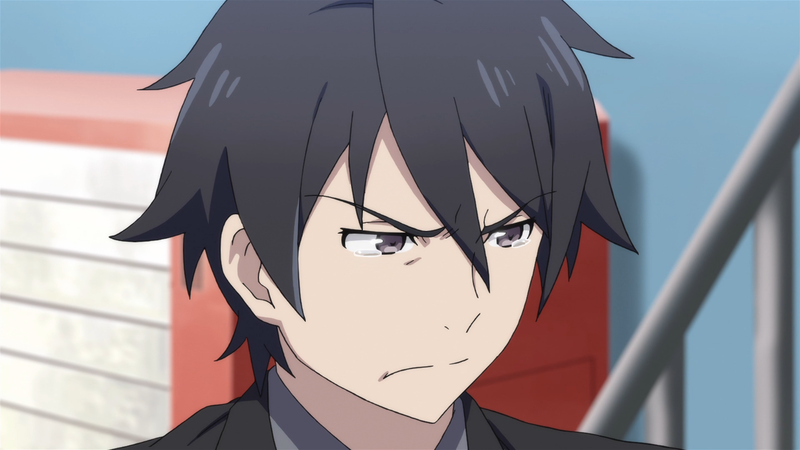 Rather than confronting Nagisa head on, he uses the resources around him to conflict with his younger brother. 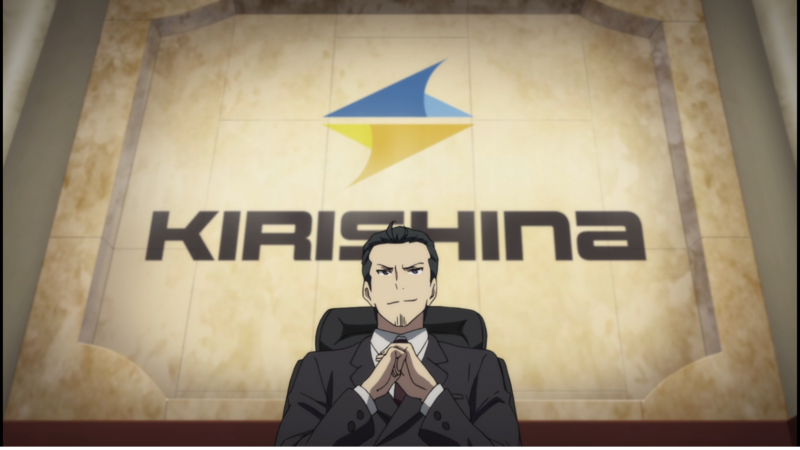 He flips votes, he persuades the main cabinet members of his corporation, and he uses his position as CEO to handle those beneath him (including Nagisa). 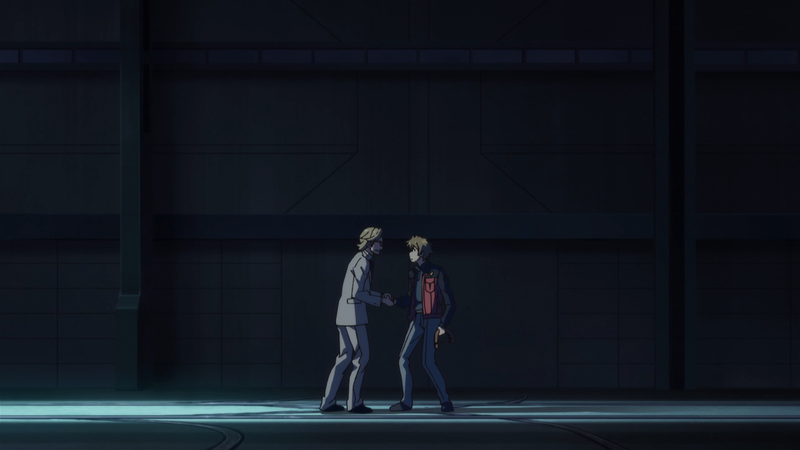 Interestingly, while Kazuhisa is shown infrequently throughout the season, he does not automatically become a villain that Nagisa squares off against. It is not until much later in the series, after Yuji is relocated, that Kazuhisa conflicts with Nagisa. 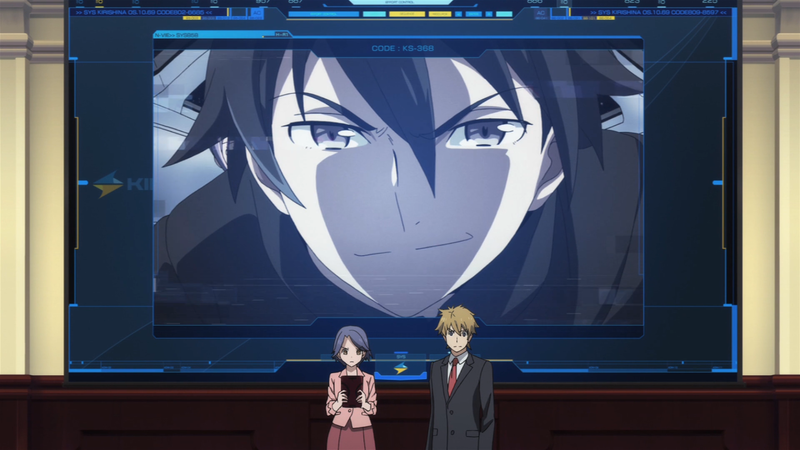 But as Kazuhisa reveals, he had been the mastermind behind everything from the very beginning. 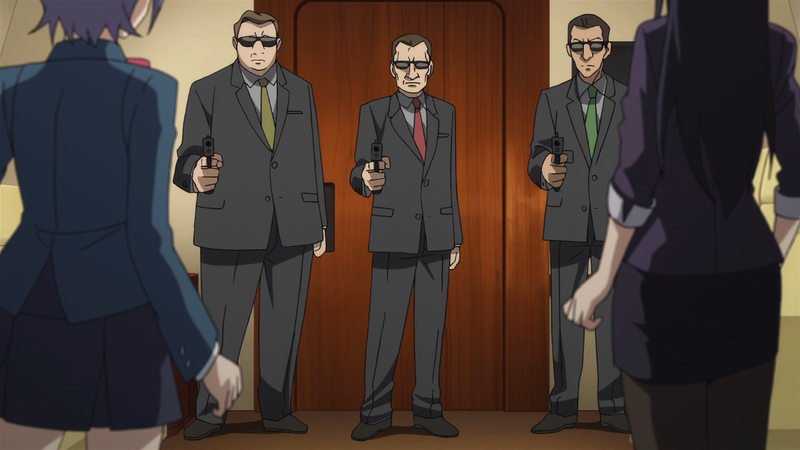 Both Yuji and Kazuhisa create conflicts against Nagisa, forming the basis for the most prominent Man versus Man conflict(s) in Classroom Crisis. And both these conflicts lead Nagisa down the same path of revenge. These conflicts motivate him; these conflicts push him forward. Nagisa’s need for revenge turns him into a cold, calculated person. He shuns other people, thinking only about how the outcome will benefit himself and his mission — nothing else. These conflicts work so well in tandem due to the antagonists involved. Since they are his family, their actions are that much more brutal; family does not treat family in a spiteful manner. 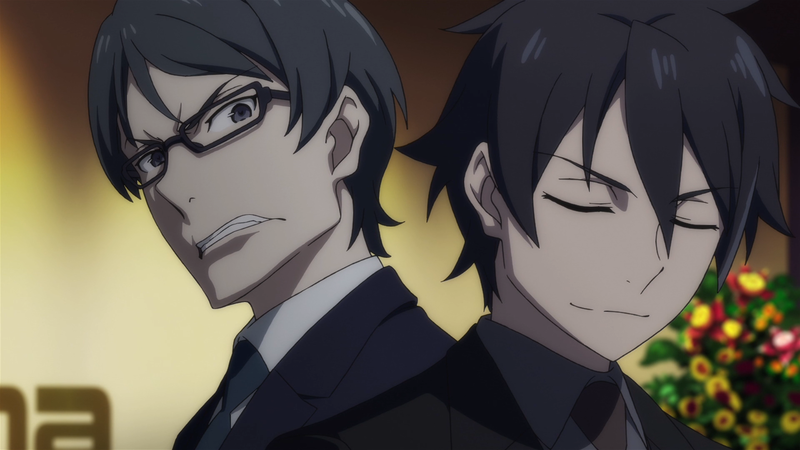 Furthermore, Yuji’s and Kazuhisa’s moral standing induces emotion. Yuji is purely evil, so it is easy for the audience to root against him. Kazuhisa is morally gray. 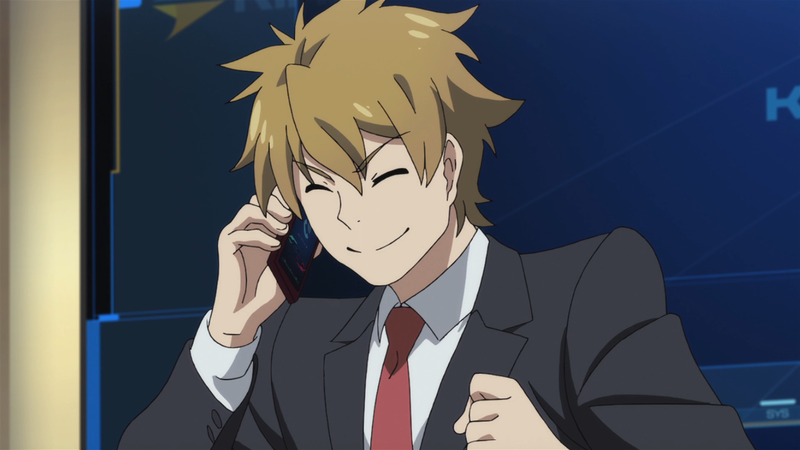 He is immoral in his dealings but rational in his thought process, something that Nagisa understands from a business standpoint. Since Nagisa acknowledges Kazuhisa, the audience is made to as well. What these conflicts ultimately do is demonstrate what Nagisa should never become. He should not be someone like Yuji, who is constantly vile. He should not be someone like Kazuhisa, who is willing to crush others without a second thought. Instead, Nagisa should be someone who is better than those who came before him. 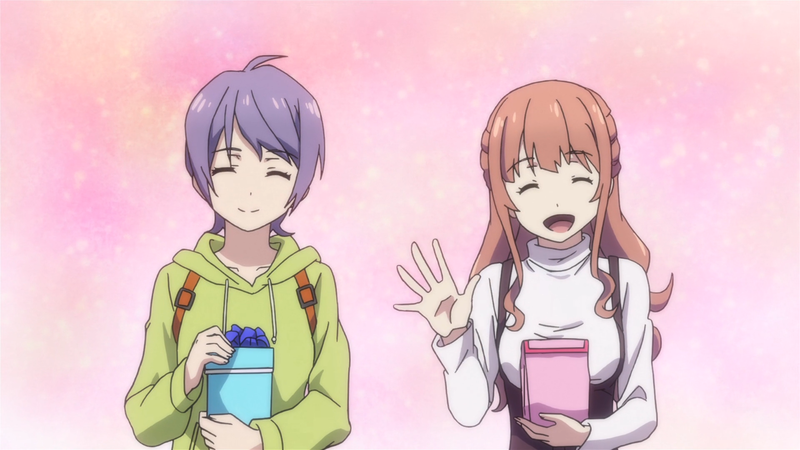 Thus, Nagisa’s conflicts against his brothers gives him multiple opportunities to develop as a character, opportunities that the anime fully takes advantage of. This is just a sampling of the conflicts from Classroom Crisis. 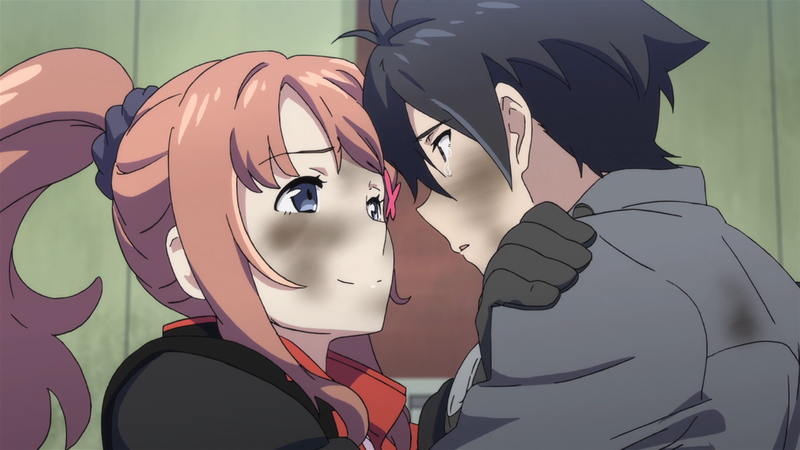 As was mentioned before, this is not every conflict that happens within the anime. 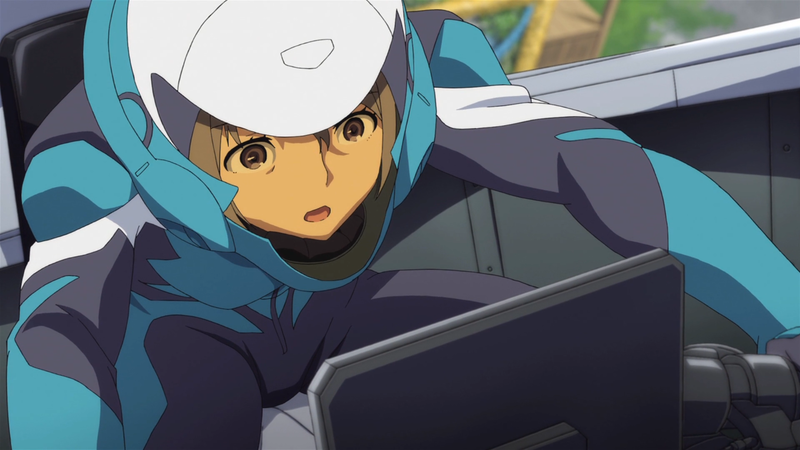 Kaito and Nagisa butting heads is another Man versus Man conflict, Iris’s conflict overlaps with Man versus Nature (she is scared of outer space and asteroids), and the club’s tinkering with space machines is an example of the Man versus Technology conflict. There are even more, such as the first rescue attempt for Nagisa and the love triangle that presumably forms between Nagisa, Mizuki, and Iris. To put it more succinctly, conflict permeates Classroom Crisis completely. But conflict, regardless of its importance, cannot stand on its own. Conflict is married to another concept, one that is equally as important. Per usual, a definition is a nice place to start. “Resolution” is defined as the act of finding a solution to a conflict, a problem, etc. : the act of resolving something. Coincidentally enough, resolution literally uses the word “conflict” to define itself. Resolution forms the coupling with conflict. A story that is all despair — all conflict — is usually not conducive to a thoughtful or inspiring tale. The same can be said of a story that is all rainbows — all resolution. Of course, there are exceptions, but it is often the case that when a problem arises it is met with a solution, or when happy things are happening, drama is right around the corner. The trick is whether or not the tale ends on either the low or the high note. It is usually the higher note that is reached because it is most often the case that conflict is already present and needs addressing. This is what makes resolution so satisfying: resolution resolves the conflict. Resolution brings closure to the story, to the characters, and ultimately to the audience. Resolution seems super-simple, to the point that it might seem silly to even mention the concept. But it is precisely because resolution is so simple that resolution needs to be addressed. Resolution is vitally important; resolution can make or break a narrative. No matter how powerful or emotional the conflict, if the resolution to the conflict is not strong, then what the conflict originally established becomes squandered. To put it differently, resolution brings about the end, meaning anything goes. Maybe all of the characters die. Maybe the main character literally battles a manifestation of his inner demons. Maybe those two hockey rivals become the best of friends. A resolution can be whatever it wants because there is nothing left to stop it. This is not to say that the resolution to a conflict should be whatever it wants. For instance, deus ex machina (basically divine intervention) resolutions are sometimes viewed as cheap unless properly explained. The resolution also has to make relative sense. Take Iris’s conflict. Imagine if her conflict was instead resolved after she accidentally bumped her head one afternoon, allowing her to forget her fears. Her conflict would be resolved, but the resolution would not necessarily be one that is satisfactory. Resolution is something that needs careful attention. Luckily, Classroom Crisis understands this when it brings extremely strong resolutions to each of its conflicts. So, let us go back to the previous conflict examples and see how Classroom Crisis resolves them. Iris has come to realize who she is. 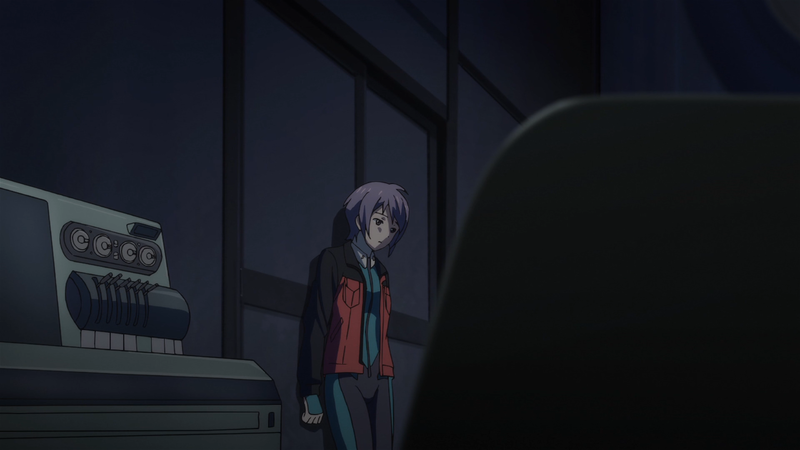 And after hearing about Nagisa’s predicament, she opts to take this suicide mission. 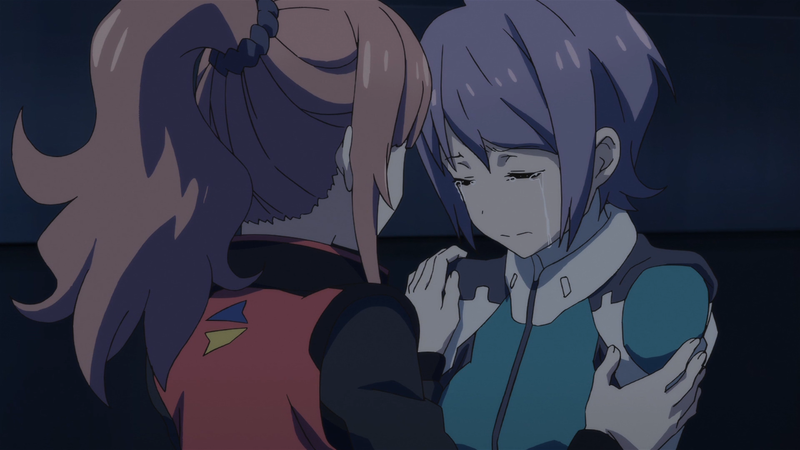 However, before she can go, Mizuki arrives to have a heart-to-heart with her sister. She does not want her to face her conflict by herself; Iris is not alone. So Iris pilots the new X-3 spaceship with Mizuki beside her. After speeding to the soon-to-be crash site and after a narrow screw up, Iris succeeds in saving Nagisa from his impending doom. Finally, at long last, Iris has overcome the conflict that has plagued her. But Classroom Crisis does not stop there. To truly conclude her arc, she is shown ripping the restraints off of Nagisa and crying at the possibility that she has lost the person whom she should have never lost in the first place. 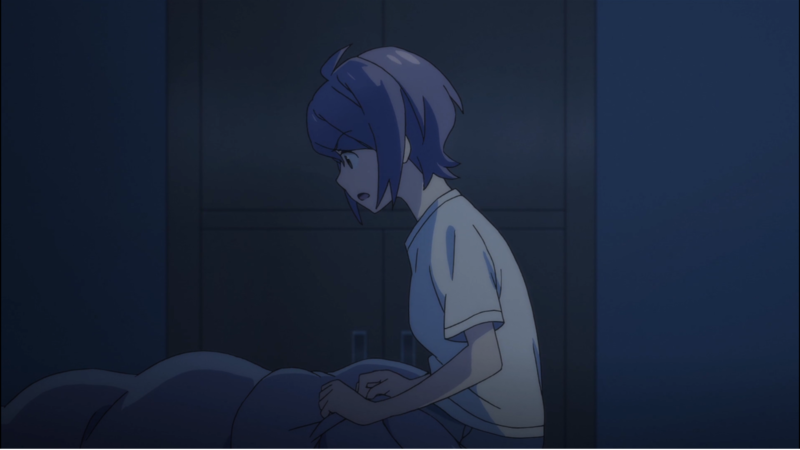 When Nagisa comes to, and he calls Iris by her real name, Iris embraces Nagisa, wrapping up her conflict completely. This resolution works so wonderfully for a variety reasons. One, the audience gets closure. Iris faces her fear and comes out the better for it, something that many people like to see. Two, on a narrative level, full-circle framing is achieved. 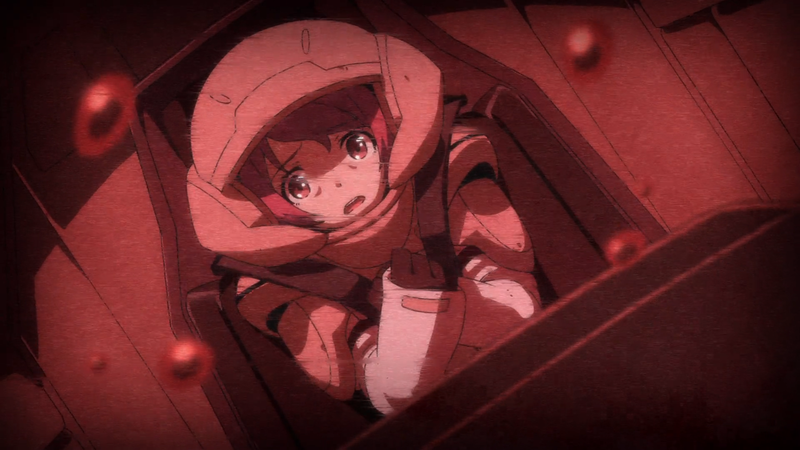 The anime started with Iris piloting a spaceship to save Nagisa, and it ends with Iris piloting a spaceship to save Nagisa. Meaning how it resolves makes sense within the context of the story. And three, Iris’s conflict ends. Having saved and been reunited with Nagisa, there is nothing left that needs to be addressed with her character. Overall, her resolution caps off her conflict in a splendid manner. The final episode is mostly constructed around the primary conflict’s resolution. 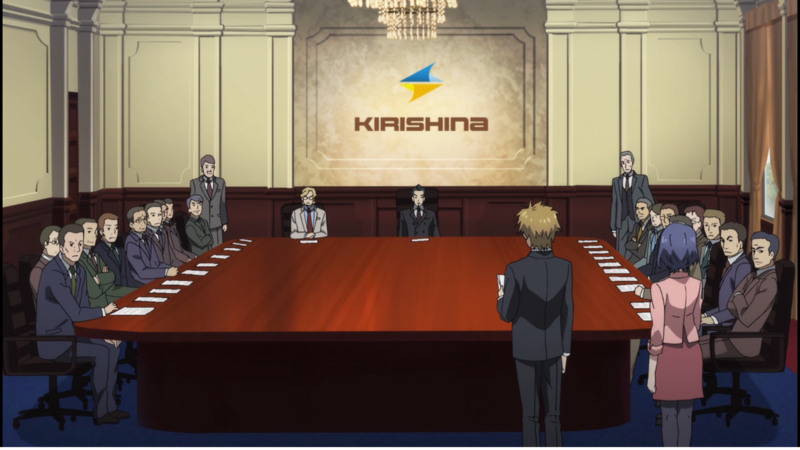 Kaito gives his final presentation to Kirishina Corporation (at their offices) to prove, once and for all, why A-TEC deserves to continue to exist. Part of his presentation relies on facts and charts and numbers. The business-minded people need reassurance that, financially, everything is sound. It is this passionate appeal that resonates with the audience. He has held this sentiment throughout the entire season, but here, at the end, in front of all of these business moguls, when he says these words that literally leave the enemy awestruck, their weight can be felt. Despite Kaito’s speech being so heartfelt, the best part of the resolution comes afterwards. The best way to put it is that Kaito and the rest of A-TEC “stick it to the man.” They secretly pooled investors, earning them huge amounts of money, granting them a simple act: the ability to resign. Rather than letting Kazuhisa and the company dismantle A-TEC, A-TEC chooses to dismantle themselves. In the context of the story, having the resolution be the very conflict that the group was embroiled in the entire time is nothing short of perfect. And so A-TEC wins. The group is maintained, Sasayama comes back on as the executive for the club (more and welcomed full-circle framing), and the conflict between A-TEC and Kirishina Corporation comes to a close. 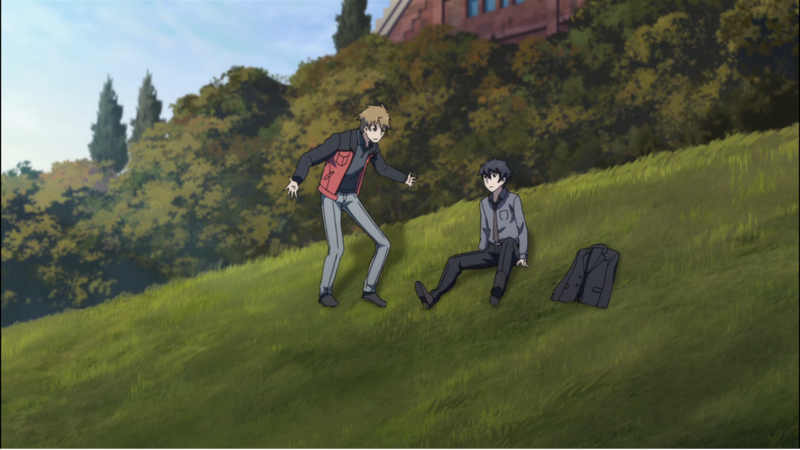 Resolving Nagisa’s conflict was complicated for Classroom Crisis since his conflict existed from the beginning and permeated many of the events. Thus, unlike Iris’s and A-TEC’s conflict, Nagisa’s conflict is resolved over three episodes rather than just within the final episode. Arguably the best part of his resolution comes from the immediate aftermath of his confrontation with Kazuhisa in episode eleven. 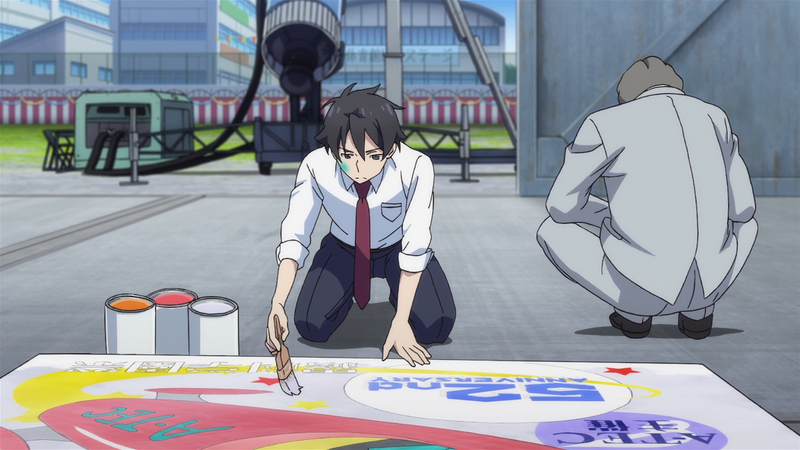 Nagisa visits the A-TEC hangar, finding Mizuki working. 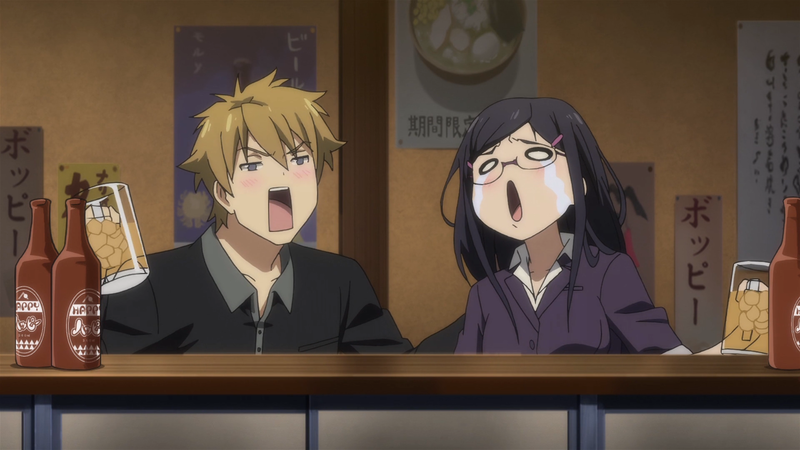 His attempts at authority are shot down by the optimistic woman, causing Nagisa to break down. Mizuki’s words to Nagisa uplift him, and the two share share a beautiful, intimate moment that starts his transition away from being the revenge-centric man he had become. To put it differently, Nagisa’s conflict with Yuji and Kazuhisa, while ultimately for naught, gave him the chance to have a resolution that turns him into a whole new person. 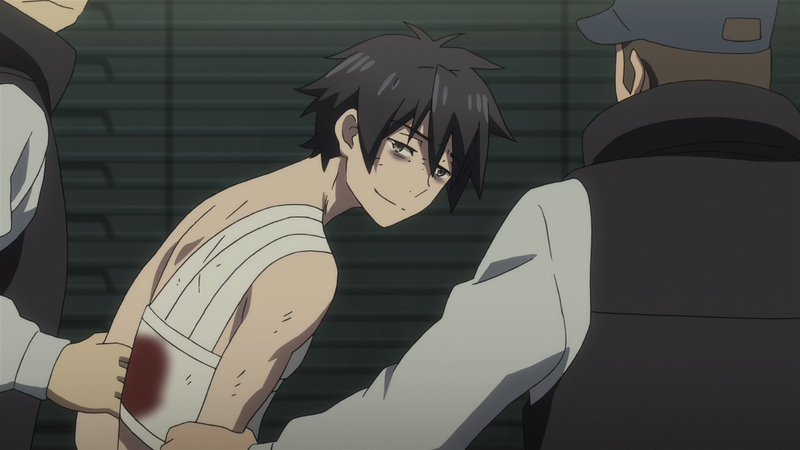 Following his new start, Nagisa is kidnapped with his life at the mercy of Yuji. 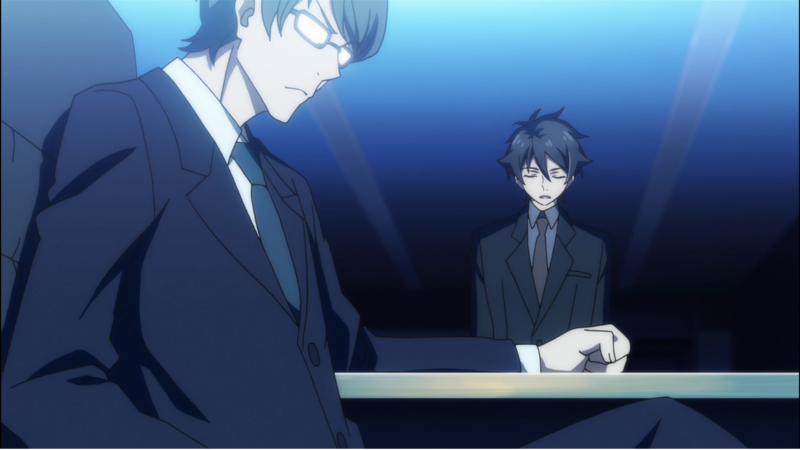 Yet, rather than letting Yuji get to him, Nagisa shows concern for the club that he had so vehemently hated. Yuji, perhaps obviously, does not take kindly to these thoughts. But rather than stoop to Yuji’s level, Nagisa takes the high route, the right route. Nagisa apologizes to Yuji. 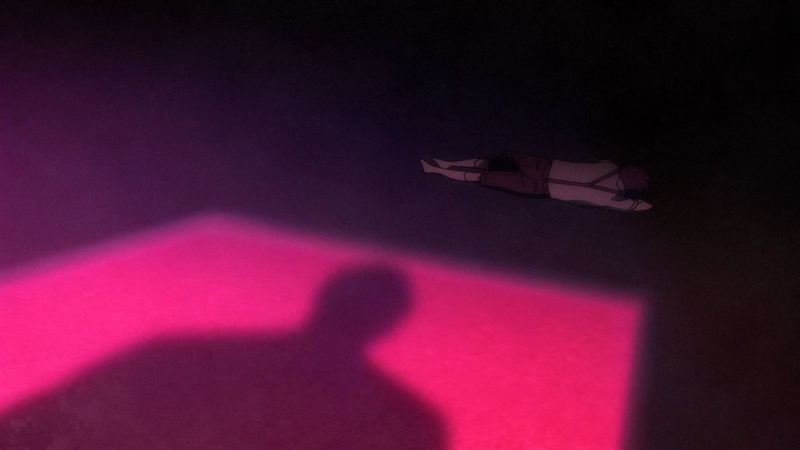 Nagisa understands that his own actions caused his brother distress. And instead of berating or getting angry at Yuji, Nagisa simply says sorry — an act that Yuji never did, not once, with Nagisa. This is a powerful resolution not only because it is the final words said between the two brothers but also because it is a stark contrast. Nagisa’s conflict against his brothers was one that revolved around him acting like them: being mean and being manipulative. 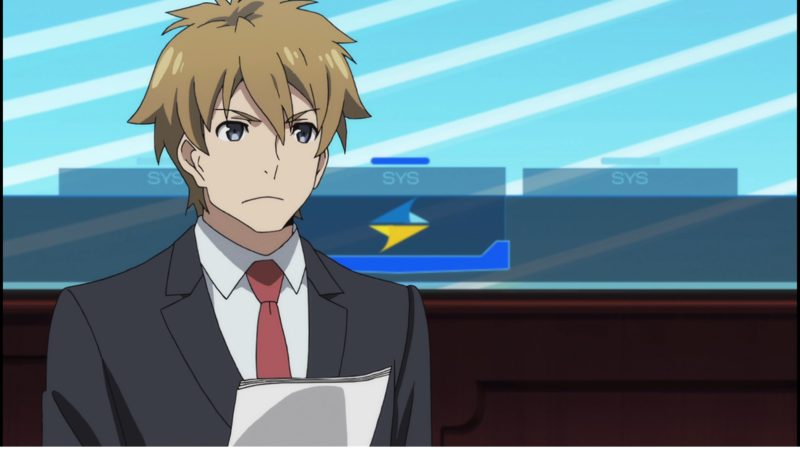 So having Nagisa go against his brother by being somebody Yuji is not is a nice way to resolve this conflict. 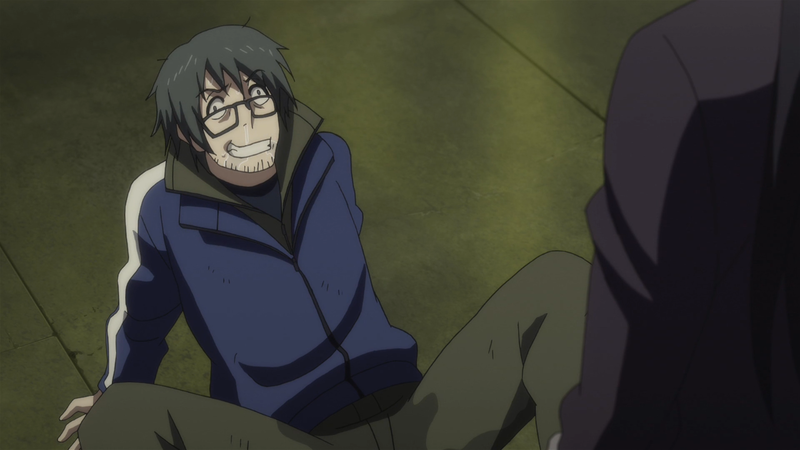 Interestingly, nothing about Yuji is shown after he pees his pants and is walloped with a wrench. (Satisfying scenes no doubt.) This is fine because the conflict is done and the resolution (and then some) is given. Anything more is not necessary to Classroom Crisis. This only leaves Nagisa’s conflict with Kazuhisa. The anime almost makes it seem as if this conflict will not be resolved. 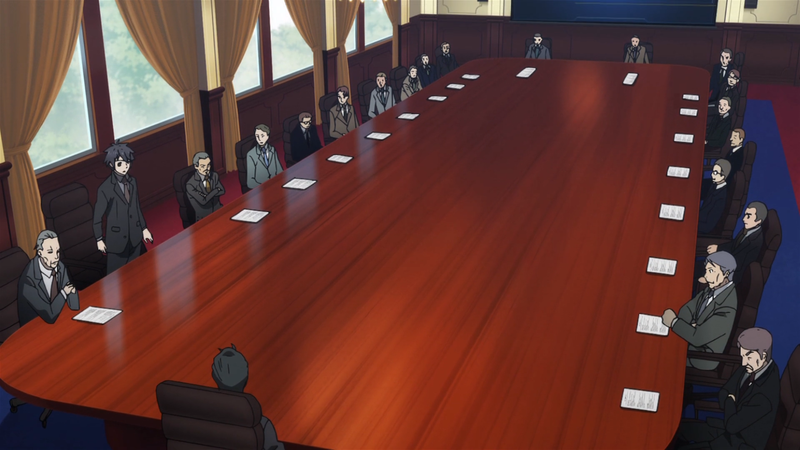 After all, Nagisa is thousands of miles away from the boardroom where Kaito just gave their presentation and resignation. But Classroom Crisis would not be as good as it is if it just ignored the conflict. Hence, Nagisa, over a video feed, has some final words to say to Kazuhisa, just as he did with his other brother hours prior. His final words to his brother denounce everything he stands for. 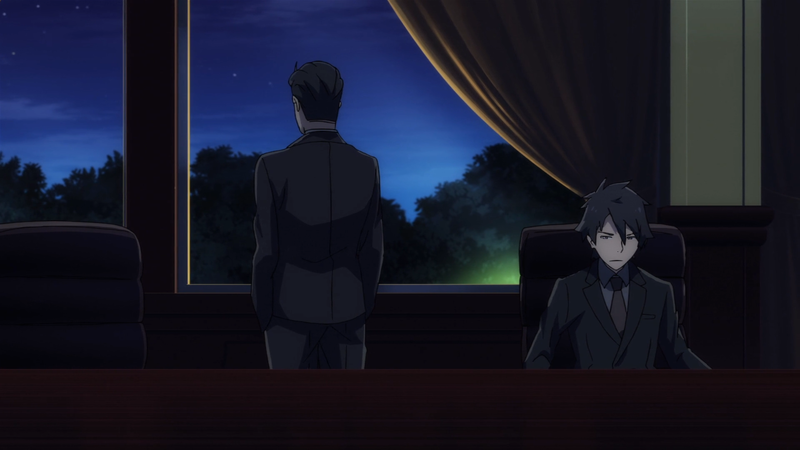 Nagisa refuses to “acknowledge his [Kazuhisa’s] way of doing things” and he readies himself to “see who’s going to regret things more.” As it was with Yuji, this resolution has Nagisa going in the opposite direction when compared to Kazuhisa. Kazuhisa, defeated, walks away. Nagisa — after everything he has been through, after everything he has endured — is now that better person. And afterwards, just for good measure, Nagisa says the final line of the season, a line that mirrors Kazuhisa’s words to Nagisa — “Let’s you and I buy up the whole world, Nagisa Kiryu…” — back in episode eleven. 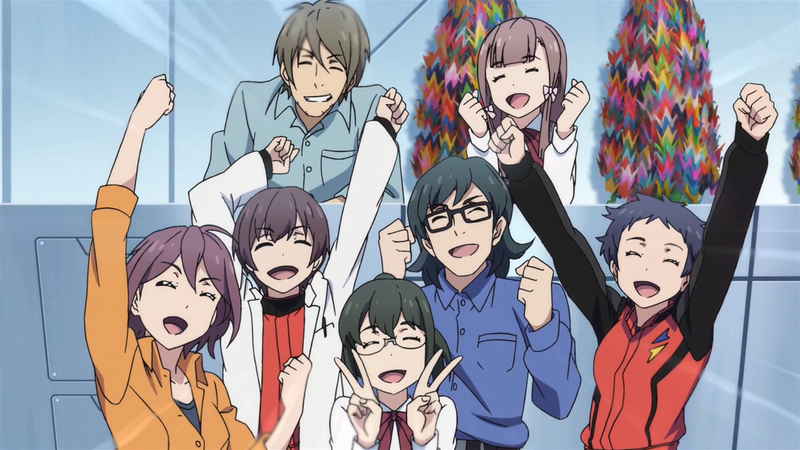 Nagisa’s line solidifies their group once and for all. Once again, this is not every resolution that occurs. 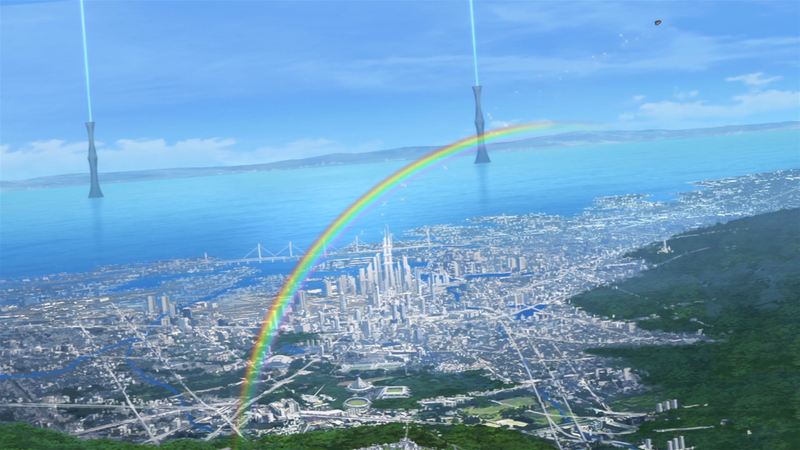 Nagisa and Kaito come to an understanding on a hilltop, Iris and Hanako share moments that bolster their relationship, and A-TEC’s X-3 rocket is a combination of the Shinimiya and Kiryu origins. This is also not to say that the resolutions conclude absolutely everything about the series. For example, Nagisa is unsure about how to handle Mizuki and Iris’s feelings for him, and Kazuhisa says an ominous line to his father that hints at the fact that Kirishina Corporation has not quite given up on pursuing A-TEC and Kaito. This is more than okay. The resolutions given within the anime did their job: they instilled closure, they provided logic, and they ended their respective conflicts. 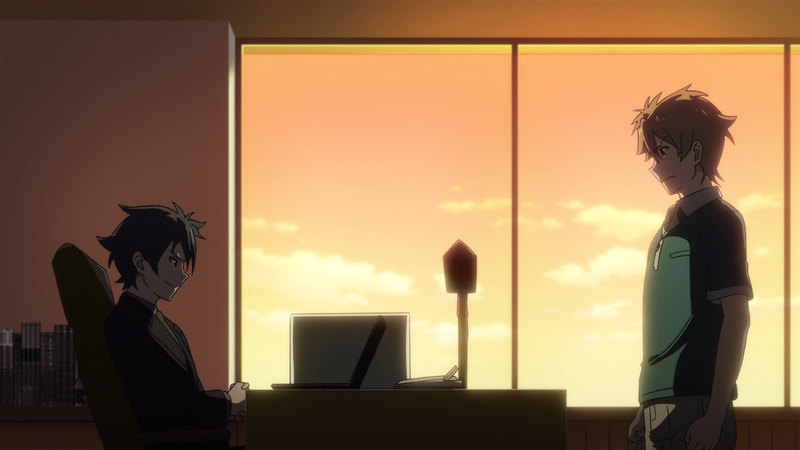 Keeping the series slightly open-ended gives the anime the chance to tell more — should it choose to do so — and if not, what needed to be concluded was and is, so a lack of continuation is not harmful, either. So, what have we learned? Conflict is important. Conflict is necessary. Conflict is an integral part to any story aiming to generate interest and develop its characters. Equally as vital is resolution. Resolution is what wraps up the conflict, bringing closure and satisfaction to the story, to the characters, and, most importantly, to the audience. The two ideas are a single unit; conflict cannot exist without resolution and vice versa. So the next time you are watching an anime, make note of the conflict and appreciate the resolution. You might just find that the combined package is not so forgettable after all!